Another year of fun! Can't wait for the 2010-2011 season!  Thank you each and everyone who supported the Mad City Badgers this past season. We look forward to your continued support for next season. We have all matured greatly on the court and off the court, and are ready for a new and exciting year! We ended up being seeded #14 in the country in our division, but that's ok, we like being the underdog. Well, we are well in to the 2009-2010 season, and we are doing GREAT! Our bench has matured, our starters are setting the pace, and the coaches have done a tremendous job! We have attended 4 tournaments so far, and have placed in 3 of them. In the one we did not place in, we played at varsity A level (which is the top!). We lost our games at that level, but it was a great experience, and by no means were we "blown out" (we held our own). The coaches would like to welcome back all of you to our new season. Thus far we have been very busy. Practices have been intense and we are getting in shape. Everyone seems to have learned a lot over the summer at camps and it shows. Thanks to all of you for your hard work during the off season. Keep it up! We are about to start our plays for the Minnesota tournament that is coming up fast. We are all looking forward to a fun season and hope you are as well. A pillar of our team is graduating! The McFarland Thistle, McFarland's very own weekly newspaper, featured a great article about the Mad City Badgers recent exhibition at the High School. A great community supporting one of their own, Nathan Day (#15) is a freshman at McFarland High School. You can view this article by clicking here. Thanks for the support everyone! Thank you to everyone who donated their time and donations in this years Hoop-a-Palooza! With all of our efforts, the Mad City Badgers raised almost $2000.00! The players arms the next day were about to drop off, as they really took A LOT of shots at the basket. But, it was all for a great cause.